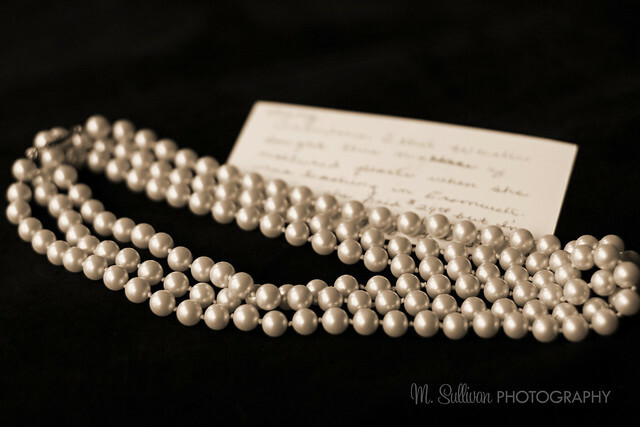 ﻿Originally a gift from my grandmother to my mother, this string of pearls has now been passed down to me along with a note from my mom. It was supposed to be a gift for my 40th birthday, but my Mom gave it to me last year. I guess she didn’t want to wait. It will now be a gift for Sophia on her 40th birthday – 34 years from now. 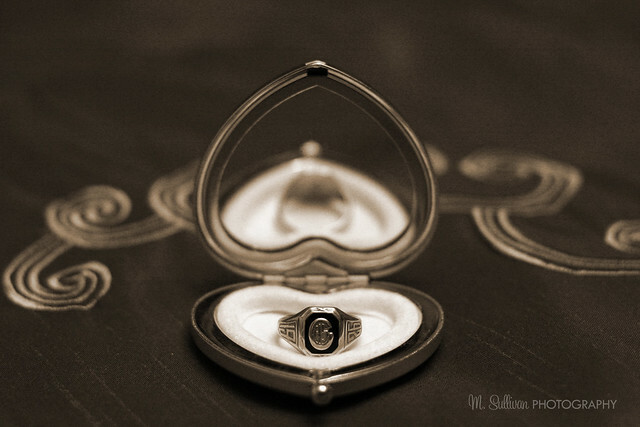 This class ring belonged to my Dad’s mother. She graduated in 1926 from Cromwell High School. I never met her, she died when my Dad was just a teenager. This is the only thing I have that she owned. Just last week her younger brother (my great uncle) passed away at age 97. He was the last remaining sibling out of 13 kids.